If you're on the hunt for a casual yet on-trend ensemble, choose a black crew-neck sweater and navy jeans. As well as super comfy, both of these items look stunning together. When it comes to shoes, this ensemble pairs nicely with brown leather desert boots. 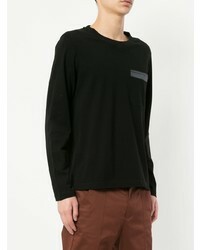 If you're scouting for a casual yet sharp ensemble, pair a Cerruti 1881 patch pocket sweater from farfetch.com with black skinny jeans. As well as super comfortable, both of these garments look great when worn together. If you're scouting for a casual yet sharp outfit, try teaming a black crew-neck sweater with white shorts. As well as super comfortable, these two pieces look great when paired together. When it comes to footwear, this ensemble is finished off nicely with black slip-on sneakers. 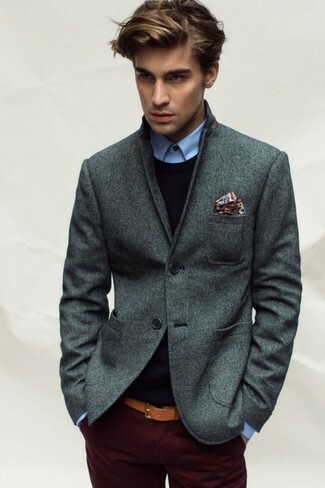 If you're after a casual yet on-trend getup, go for a Cerruti 1881 patch pocket sweater and brown chinos. As well as super comfortable, these two garments look incredible when paired together. Channel your inner Ryan Gosling and choose a pair of navy suede loafers to class up your ensemble. If you're searching for a casual yet seriously stylish look, consider wearing a Cerruti 1881 patch pocket sweater and blue chinos. As well as totally comfy, both pieces look fabulous together. For something more on the daring side to complement this ensemble, opt for a pair of black and white high top sneakers. 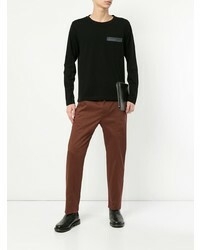 If you're on a mission for a casual yet dapper look, team a Cerruti 1881 patch pocket sweater from farfetch.com with burgundy chinos. As well as super comfy, both pieces look amazing paired together. 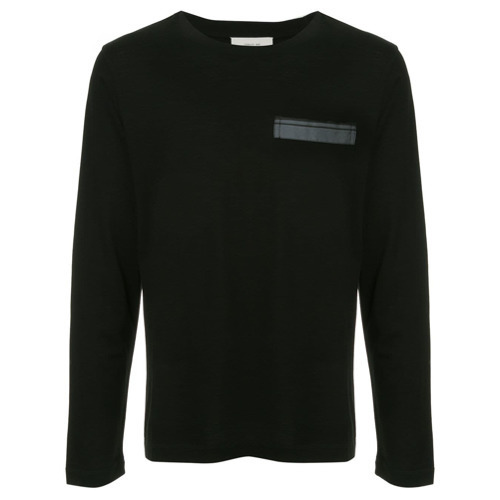 If you're on a mission for a casual yet dapper outfit, go for a Cerruti 1881 patch pocket sweater and black jeans. These two garments are very comfortable and they will also look great when paired together. 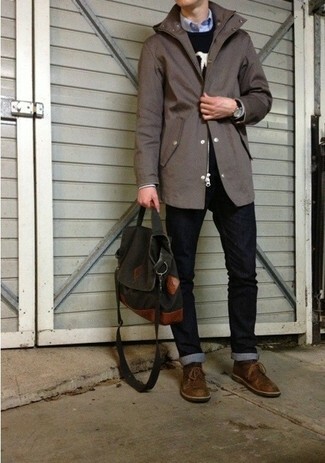 Look at how well this getup is complemented with black low top sneakers. 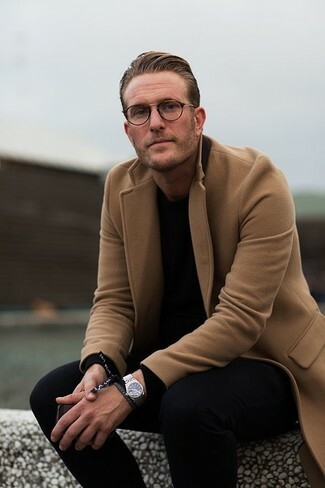 If you're on the hunt for a casual yet on-trend ensemble, reach for a black crew-neck sweater and navy jeans. As well as totally comfortable, both pieces look stunning when paired together. 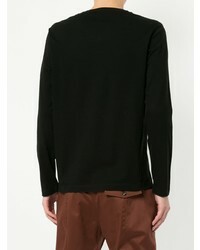 Wear a Cerruti 1881 patch pocket sweater with charcoal wool dress pants for a classic and refined silhouette. A pair of black leather double monks will integrate smoothly within a variety of looks.